South Northamptonshire, North East Oxfordshire and North West Buckinghamshire. During WWII many of the aerodromes around Brackley, South Northamptonshire were buzzing with activity. Aerodromes such as RAF Barford St John, RAF Bicester, RAF Chipping Warden, RAF Croughton, RAF Finmere, RAF Hinton-in-the-Hedges, RAF Silverstone, RAF Turweston and RAF Upper Heyford were Operational Training Units (OTU's), where the selection and training of crews on aircraft such as the Hampden, Blenheim, Wellington, Mosquito and Boston took place. 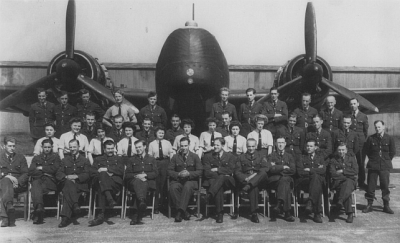 Astonishingly there were in excess of 400 aircraft losses within a 15-mile radius of Brackley, involving these young crews and usually resulting in tragic loss of life. 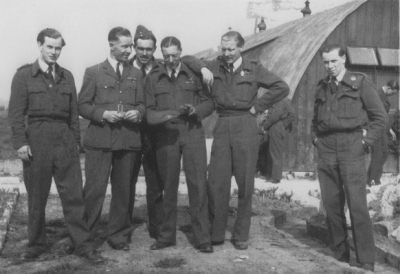 Stationed in the area were over 10,000 RAF Servicemen and women, either billeted near the Aerodromes or lodging locally. Document every incident involving aircraft and crews from local aerodromes. Provide a source of local history in memory of those crew members who tragically perished in such incidents. 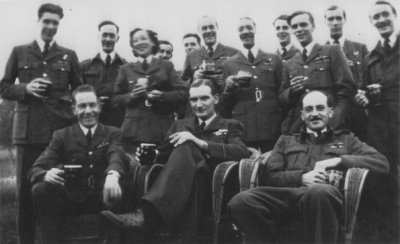 Document first-hand experiences from surviving air crew, ground crew and local people. Provoke interest and promote awareness of local history during WWII, including aerodrome architecture and its preservation, bombing ranges, memorials and cemeteries. Visits to The National Archives (Kew) and the Royal Air Force Museum (Hendon) as well as reference material such as the RAF Bomber Command Losses books by W R Chorley, have provided most of the detailed information on aircraft losses and the crews found here on Aviation Research. 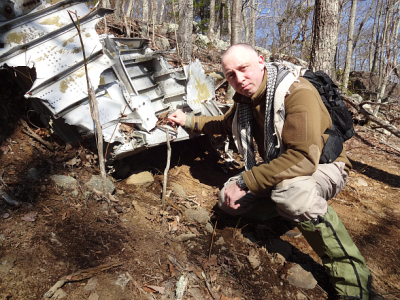 However, the exact location of each crash site requires local knowledge. I would be very grateful to hear from either former air crew or ground crew that served locally, as well as local people that may have any information regarding a particular crash site or any other local aviation related information. If you have any information, regardless of how minor it may seem, please contact me. The information available on Aviation Research is only a fraction of my research, should you require any additional information, please feel free to contact me and I will do all I can to help.